AUS-ION steel cooking pans combine the best of cast iron and French steel pans—and are built to last a lifetime. 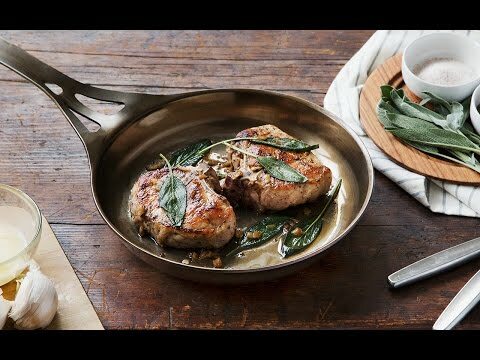 The AUS-ION skillet cooks similarly to cast iron, but handles more like French steel. Its seamless design is pre-seasoned and cooks evenly, and the longer handle is vented to stay cooler and easy to maneuver. Backed by a multi-century guarantee, this could be the last pan you ever buy. Dimensions: 7": 16" x 7" x 7.5"; 10": 20.8" x 10.2" x 10.6"
Weight: 7": 1.8 lbs. ; 10": 2.6 lbs. I unpacked this and drooled over it for a few days before using it.. it's so beautiful! I am that person who has a variety of high-end cookwareend cookware in their kitchen - all which get used a lot. This has never seen the drawer though. I've used it every single day since it arrived. It cooks so well, and is a great go-to daily pan. It's lighter than my cast iron, but cooks similar, and doesn't have the rust issues cast iron has either (so if I don't wash it immediately, it's not an issue). So impressed with this pan! I drooled over it for a few days before using it because it was so beautiful (my daughter said I was obsessed..) obsessed..) then today used it for the first time. I cooked up a couple pieces of bacon, which cooked up just as nicely as in my cast iron pans, removed the bacon then dropped in an egg. Now, there was a bit of fat from the bacon remaining, but just a little. I was kind of expecting the egg to stick a bit on the leftover bacon residue that remained, but was shocked to see the egg sliding around in the pan like it was on ice! The ultra smooth surface creates a really nice surface that quickly sears food and reduces sticking. Some items I can't even cook at all in my All-Clad pans because of the terrible sticking. This is why it's nice to have a variety of pans. 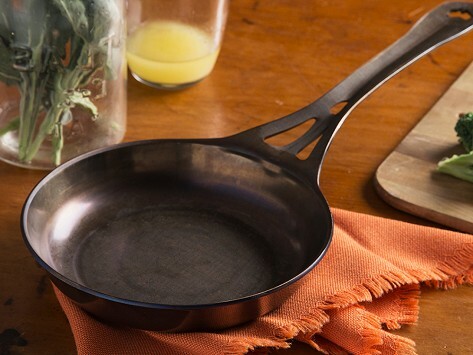 Steel cooking pans that combine the best of cast iron and French steel pans are going to be a game changer in your kitchen. They even might be the last pan you ever buy. The Australian-made AUS-ION steel pans are created from one seamless piece of iron (steel). The dense material cooks similarly to cast iron, but is lighter and thinner. The result is a hard-core pan that heats evenly and maneuvers easily. The durable pans are built to last a lifetime—which is why SOLIDTEKNICS backs them with a multi-century warranty. Founder Mark Henry’s design features a longer, vented handle that stays relatively cool and is easy to control. And, each pan is pre-seasoned, too. Clean it like cast iron—so no soap or dishwasher—and it will continue to season with each use. With a guarantee to last a lifetime, if not more, these hard-core pans will prove to be the new workhorse in your kitchen.